May seems to be the traditional month in Washington for tax cuts and May 2006 is no different from past years. Congress has just passed a $70 billion tax cut package, the Tax Increase Prevention and Reconciliation Act, which impacts you. Although one tax incentive - extending the dividend and capital gains tax rate cuts for two more years - has received the most press coverage, the new law includes many other important tax breaks that could help reduce your tax liability this year and in future years. Every time Congress changes the Tax Code there are exciting new opportunities for strategic tax planning. This letter highlights some of the important incentives in the new tax law. We encourage you to contact our office so we can take a detailed look at how the new tax law can save you money. Dividends and capital gains. Three years ago, Congress lowered the tax rate on certain dividends and capital gains. The rate reductions were temporary and were scheduled to expire after 2008. The new law extends the lower rates for two more years. The maximum tax rate on qualifying dividends and capital gains through December 31, 2010 is 15 percent. Not all dividends and capital gains qualify for the 15 percent rate. For example, the maximum capital gains rate on collectibles is 28 percent. Taxpayers in the 15 and 10 percent rate brackets can take advantage of even more generous tax treatment. Our office can help you create a tax strategy that maximizes the benefits of the lower tax rates on qualifying dividends and capital gains. Roth IRAs. Until Congress passed this new tax law, higher-income individuals could not convert traditional IRAs to Roth IRAs. Only individuals earning less than $100,000 could convert traditional IRAs to Roth IRAs. The new law removes this limitation starting in 2010. Even though 2010 seems a long way off, it's important to start planning now to maximize this opportunity. AMT relief. Taxpayers who are liable for the alternative minimum tax (AMT) know that its bite can be painful. Congress has talked for years about reforming the AMT so it doesn't impact as many middle-income taxpayers but so far hasn't made any substantial changes to the AMT rules. Instead, the new law extends some temporary measures designed to reduce the burden of the AMT. Through 2006, AMT taxpayers can take advantage of higher exemption amounts and use the nonrefundable personal tax credits to offset regular and AMT liability. Kiddie tax. The"kiddie" tax rules require that a child's unearned income, such as dividends and interest, be taxed at the tax rate of the parents. In most cases, the child's parents will be in a higher tax bracket. Currently, the "kiddie" tax applies if the child is under age 14 and some other criteria are met. The new law raises the age limit from 14 to 18 and this change is effective immediately. Taxpayers who had envisioned the lower age limit being effective for 2006 now have to revisit their tax plans. Small business expensing. Over the past several years, small businesses have been able to expense rather than capitalize more purchases because of higher expensing thresholds. The new law extends the more generous expensing thresholds for two more years. · Revises the tax treatment of loans to continuing care facilities. Be sure to check with your accountant to see if you can benefit from any of the changes listed and as always keep your Business N Synergy. While reading the May – June issue of the “Clients Tax and Financial Update” I came across an article regarding the ten most common failures people make when planning their personal finances. Try not to make these mistakes with your personal finances and there is a slim chance that you will have problems managing your small business finances (especially during start-up). Many feel that the two are not related, but your personal finances can hinder your business in certain situations where personal guarantees must be made. Be sure to consult with you financial consultant, attorney, and accountant, if you have failed to accomplish any of these personal financial tasks. This will ensure you and your family’s future is bright and on track. 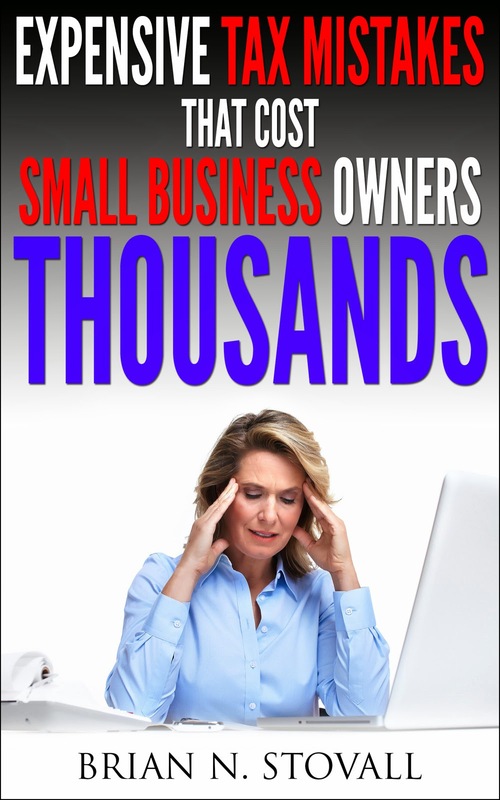 Every small business owner knows that timing is very important to grow a small business. Whether it is delivering your product and or service on time, being at the right place to discover new business opportunities at the right time, or submitting paper for additional funding before the deadline, timing plays an important role in many areas of your small business. Here are two great time management tools I was able to sample this past week. The first for all the “Main Street Accountants” like my self is the “Efficiency Quotient” analysis on the AccountantsWorld.com site. This analysis tool, although designed for accountants is very effective at assessing how well a business uses their time to generate revenue. It took about 25 minutes to complete and the scores will come in the mail. I am interested to see the results that should arrive soon. Check these out to improve your small businesses’ timing. Until next time keep your Business N Synergy.